In the placid, progressive, carefully constructed suburb of Shaker Heights, everything is just as it always had been; the kids, parents, neighbours and communities all knew their role and place in society, and no one more so than Elena Richardson. A journalist for the local newspaper, known for her coverage of the “happy” stories, a mother of four children and wife to her husband, they form the all American ideal in their beautiful house in their beautiful neighbourhood. Until Mia Warren enters the scene. Single mother to Pearl and gifted artist, Mia interrupts their picture-perfect life, becoming the tenant of the Richardson’s second house in Shaker Heights. Soon the mother-daughter duo find their way in to the Richardson’s life, with Pearl becoming best friends with Moody and Lexie, and Mia becoming something of a role model for Izzy. All is well once more. Little Fires Everywhere is a tale of family; the unbreakable bond of mothers and daughters and crippling secrets. This book really crept up on me. Unlike When I Hit You, which was also a recent literary success, I wasn’t struck by an overly literary writing style at the forefront; instead Ng seems to have focused more on character development and plot, which resulted in a novel which was much more easy to read but was also wholly enveloping. I found myself actively wanting to know what happened to the characters and willing the plot forward. Put together with eloquent writing as the secondary feature, it made for a really enjoyable read. 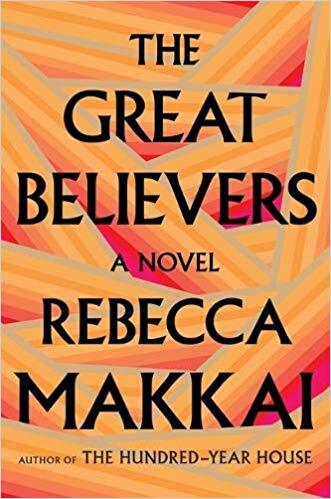 Quietly powerful, I found that by the end of the novel, I had a real respect for the way that Ng expresses herself and for her representation of American-Chinese culture, which is not something I had previously read about. It wasn’t the best book I’ve read this year, but it was one that sat really well with me and I’ve already passed a copy on to my friend to read, knowing that she’ll enjoy it as well. It was well-balanced, well-paced and well-structured. An all round good read and I’m excited to go back and pick up Celeste Ng’s debut Everything I Never Told You, which I’ve also heard great things about.